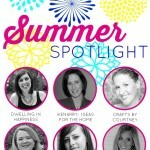 Welcome back to another week of our super fun Summer Spotlight series! 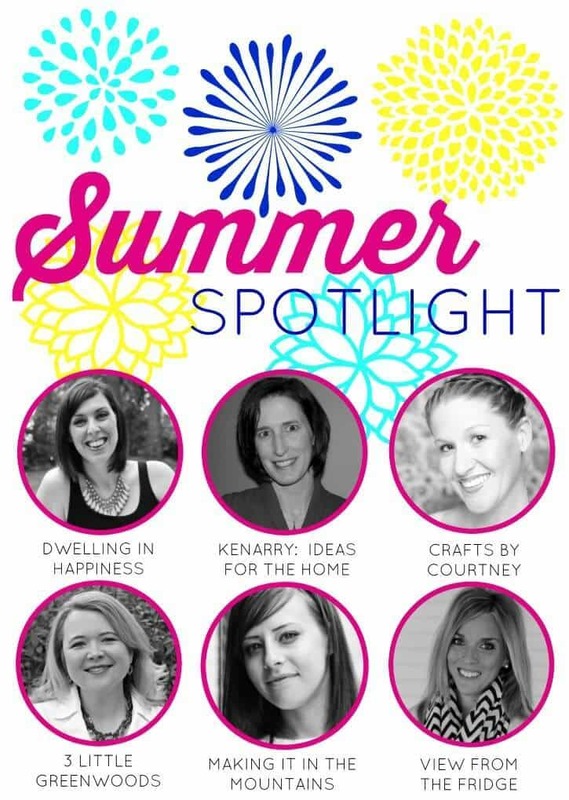 Kristi here from Making it in the Mountains and I’m SO over the moon excited to give you a peek behind Kenarry: Ideas for the Home! So, grab yourself a cup of coffee and prepare to be inspired! 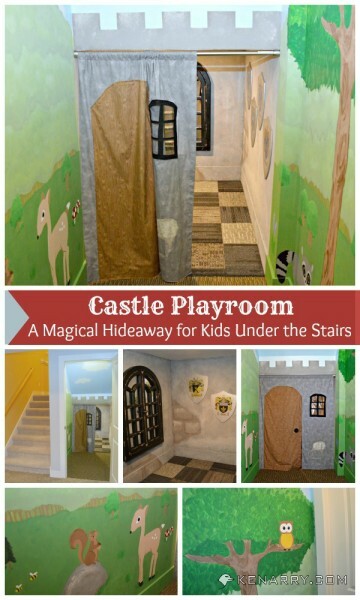 From the first moment I laid eyes on this incredible Castle Playroom, I’ve been in love with Kenarry: Ideas for the Home! Seriously, what kid doesn’t dream of a fun playroom like that?! Complete with Faux Stone Walls and Medieval Shields, Carrie definitely thought of everything! 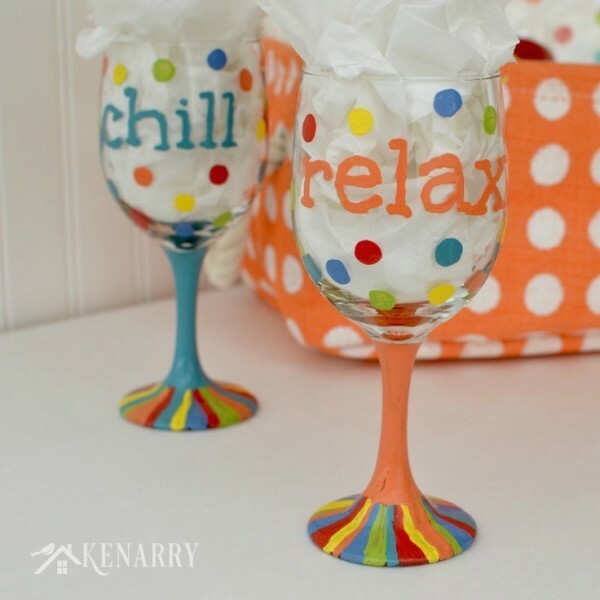 Kenarry: Ideas for the Home is really a one stop shop for all things home! 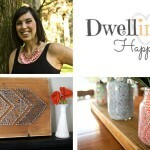 From kids, crafts, cooking and cleaning, Carrie is sharing everything you need to make your home a happy one! I can’t wait to take you for a tour of some of my faves! 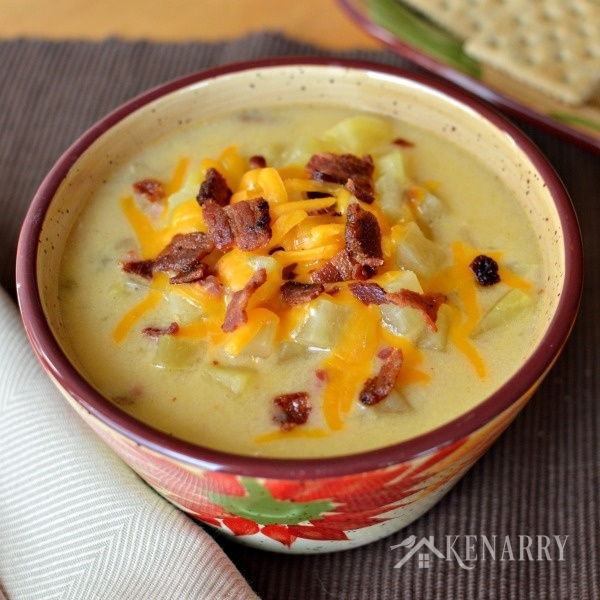 I’m absolutely dying to try each and every recipe she shares, especially this easy to make Crockpot Potato Soup! And these Oreo Cookie Balls look much too yummy to resist! And really, what parent doesn’t need to know how to remove marker from the wall, highlighter from fabric, or organize that inevitable chaos that toys create? 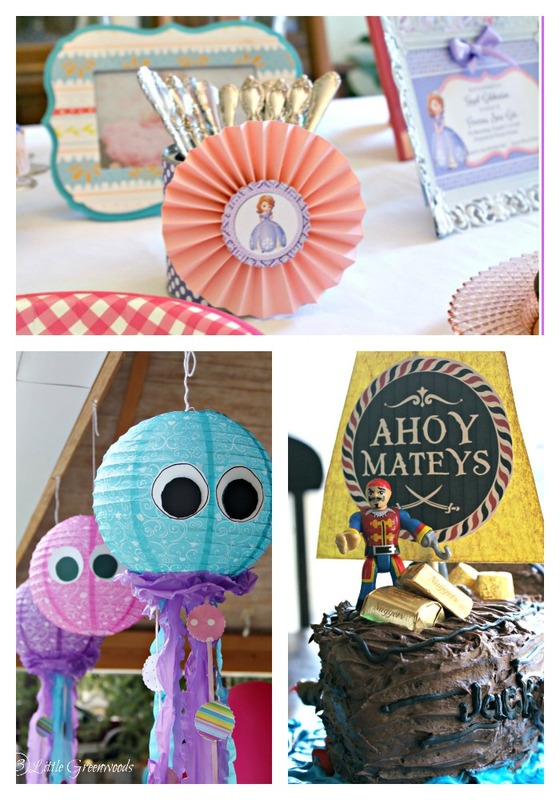 She’s also got an endless supply of craft and birthday ideas for the kiddos that you’re sure to love! And, of course, there are tons of fun crafts for Mommy too! I’ll definitely be making some of these fun Hand-painted Wine Glasses! 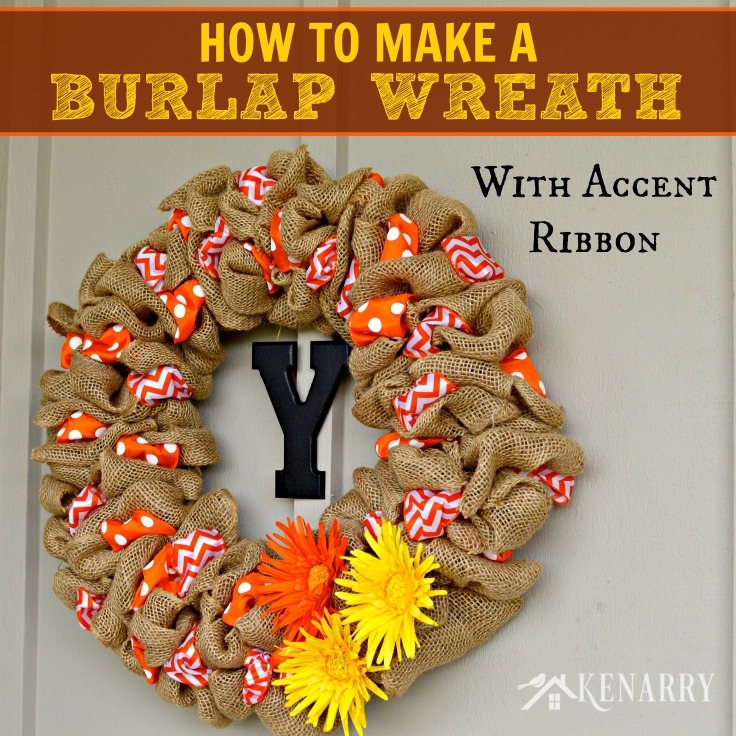 And I love this sweet Burlap Wreath! 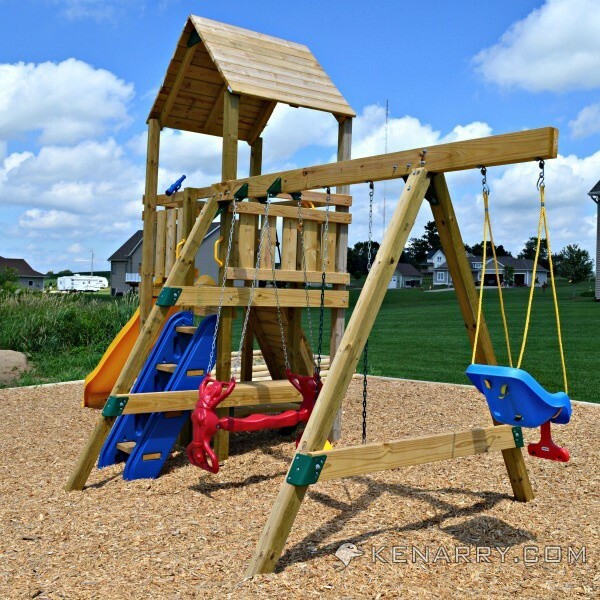 There’s also no shortage of home improvement and DIY ideas like this awesome DIY Backyard Playground! Want to know the very best part of it all? This Mama doesn’t do it alone! Her awesome hubby and sweet boys are always lending a hand! 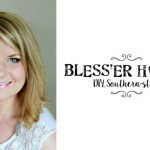 I absolutely love that this blog is really a family affair! One. 1. I’ve always wondered, but never asked: why Kenarry? Where did that name come from? Great question! 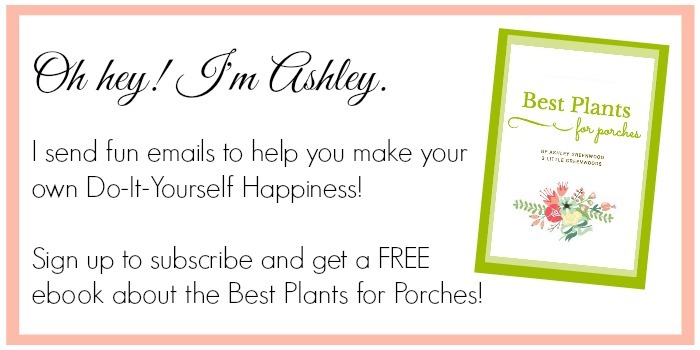 It’s a name my husband, Kent, and I created several years before we ever started a blog. It’s honestly a silly combination of our names KEnt and cARRie Ypma. We first used the name Kenarry for some freelance web design/development work Kent did years ago so when we started the blog in November 2013, we just went with it. In hindsight, we probably should have put more thought into a blog name that made more sense! Every few months we think about rebranding, but then we remind ourselves there are a lot of brands and businesses whose names didn’t make sense when they started either and now they’re household names (Hello, Kleenex and Google!). We try to always use the name Kenarry in conjunction with our tagline to at least give it some meaning and context — Kenarry: Ideas for the Home. Two. 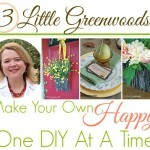 You blog about everything really and have become a valuable resource for anything & everything home and family related. With that seemingly endless list of talents, what is your very favorite topic to work on/ write about? Awwww, thanks! We’re honored you think so. That’s really our goal – to create and curate great ideas for the home and give families useful or inspiring ideas and tips to make their home a warm and inviting place to be. My very favorite projects to write about are those that directly involve our boys, like fun food and kid stuff. I actually have an old camera my five year old will sometimes use to take photos right along side me of recipes and crafts. 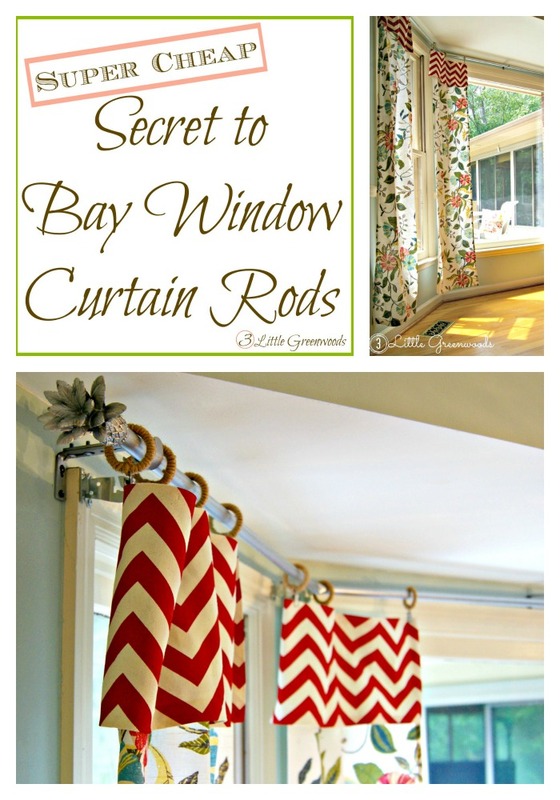 It makes him feel like he’s part of the process and that Kenarry: Ideas for the Home is a family business. You’ll often catch him talking like a blogger over lunch, “Mommy, how are our page views doing today. Do you need any help pinning stuff on Pinterest?” He cracks me up! Three. I am head over heels in love with that Castle Playroom you created for the boys! I know my little guy would be over the moon in a playroom like that!!! What are some of your favorite projects in the space? The castle playroom is actually one of the reasons I created Kenarry: Ideas for the Home to begin with, so I’m thrilled you love it. Friends saw it and said over and over again that I should share it online. My absolute favorite project in that space are the medieval shields I made for the walls. I spent some time researching our family crests online and was able to find one to represent each of the boys’ grandparents. It’s a special way to tie our family heritage into the castle playroom and surround them with a little grandparent love every time they play. Four. I could get lost in your yummy recipes for hours Carrie! What are some of your very favorites? I’m a huge fan of chocolate so I love the S’mores Chocolate Fudge Cake and the Peanut Butter Fudge Cake recipes. 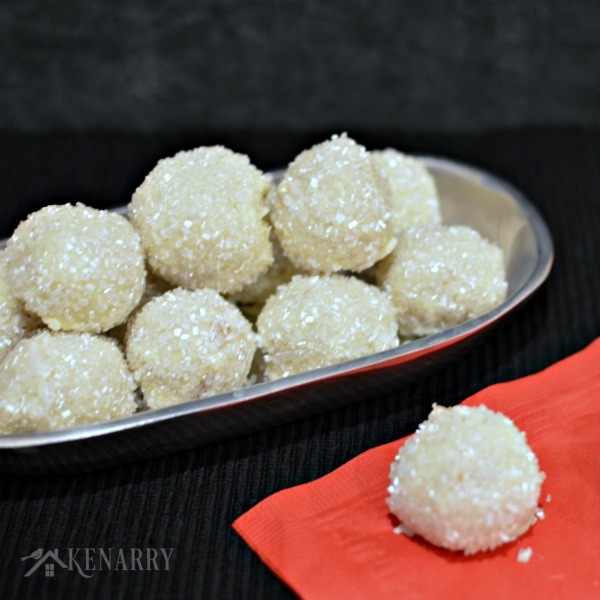 Both are super easy to make, but look impressive if you’re serving them at a dinner party! My all-time favorite recipes though are the ones that have been passed down to me by my parents, like the Grilled Meatloaf Burgers or my Mom’s Homemade Meatballs. Those meatballs are hands-down the BEST on the planet, if you ask me. That is THE one dinner I request every year for my birthday if I’m celebrating with my mom. Five. 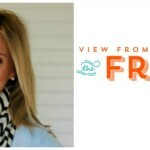 How do you manage to balance being a wife, mommy to two busy boys, a volunteer and a blogger? Like most bloggers and working moms, I’m constantly trying to find the right balance between all the hats I wear. I definitely don’t have it all figured out, but by the grace of God and a lot of great scheduling tools I manage to keep it all together (most days!). I’m a planner through and through and find I need to be intentional about my time if I want to get things done and have quality time with my boys. On Friday afternoons I usually plan out my activities for the following week across all aspects of my life using Wunderlist and my Google Calendar. I’m also a HUGE fan of CoSchedule for managing and tracking blog posts for the coming weeks and months as well as tools for scheduling social media. Thankfully both of my boys still have a rest time in the afternoons so that’s when I’m able to schedule most of my writing, photography and creative project time. After they go to bed at night, I’m usually curled up on the couch with the laptop scheduling social media, reviewing Creative Team posts, responding to e-mails or working on organizing our upcoming Women’s Service Day. I will confess that once or twice a week, I also work a little on the computer in the mornings while they’re playing together. I figure it doesn’t hurt for them to learn to play independently or with each other and to see firsthand that mommy works too. 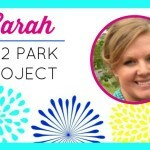 This summer though, the boys and I decided to be intentional about scheduling a weekly “park and picnic” date. My five year old and I researched area parks online and made a list based on which ones had playgrounds. Each week we chose a different one to try and then he gave them scores to determine which ones we’ll go back to next summer. The boys loved it and it gave us a focus to make sure we got outside to enjoy the nice weather rather than getting caught up in my “to do” list, making meals, doing laundry and all the other stuff that goes on in our day. It’s incredibly helpful too that Kent is so supportive of the blog and a true partner in the effort. Though you may not see him pop up on the forefront of the blog that often, he’s often at work behind-the-scenes editing my blog posts, managing the tech updates, working on DIY projects and keeping things running smoothly. This year we’ve started having a quarterly date night (or “business meeting”) just to talk about our goals and next steps for Kenarry: Ideas for the Home. It’s been really special to make Kenarry: Ideas for the Home a fun family project and not just something I do on my own apart from my family.